Parking availability varies depending on the camp date and duration. 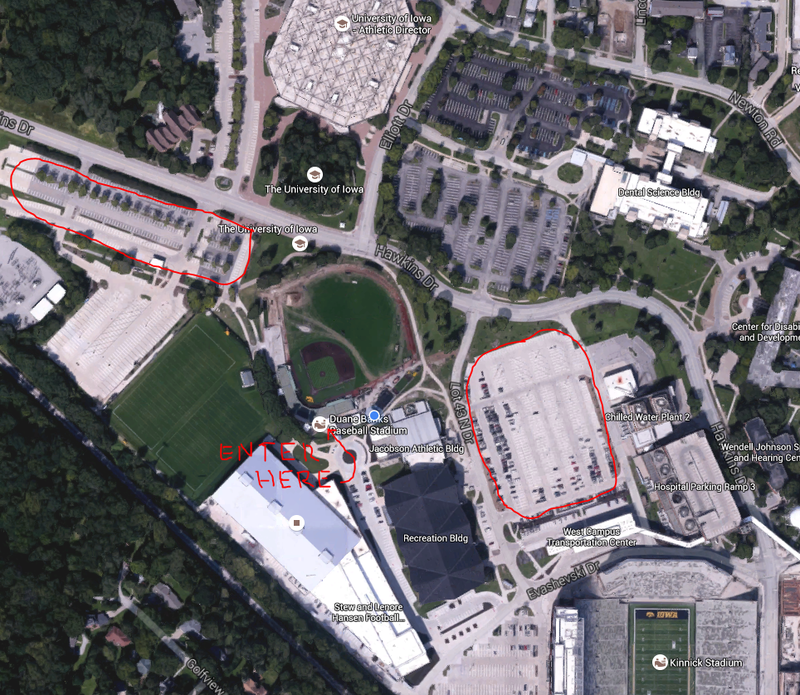 Parking options will be detailed in an email distributed to all campers 7 days prior to camps. parking options are in the red. We can no longer offer airport shuttle service. The Eastern Iowa Airport (CID) located in Cedar Rapids, Ia is approimately 25 miles north of the University of Iowa camps. You are welcome to come and watch any session your child is attending. If you need to remove your child for any reason, please make sure one of the Iowa Coaches is notified.